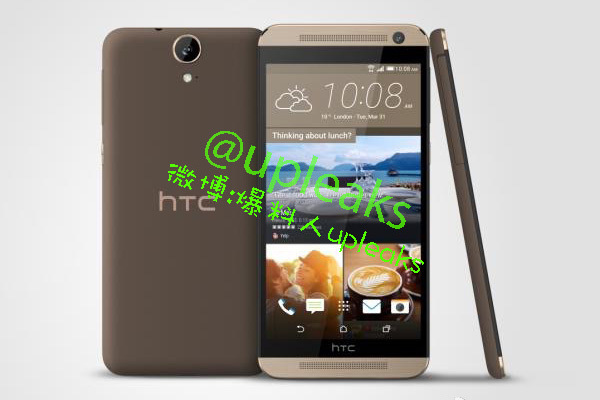 Just like that, HTC has quietly -- well, maybe unintentionally -- unveiled its latest phablet on its China website. With some minor differences, the One E9+ is pretty much what we saw on the certification database earlier this month. The biggest selling point of this part metal, part plastic device is perhaps its 5.5-inch Quad HD (534 ppi) display, making it the sharpest screen ever used on an HTC phone. Oddly, though, the website's spec sheet states a 1080p resolution, which we'll assume is actually meant for a lesser E9. Likewise with the 2GB of RAM instead of 3GB, as well as the 13-megapixel main camera instead of the 20-megapixel version mentioned on the product page. If the rest of the specs are correct, we're looking at a 64-bit, octa-core 2GHz MT6795M chipset from MediaTek, 16GB of internal storage, microSD expansion of up to 128GB, dual Nano SIM slots, a 2,800 mAh battery, an UltraPixel front-facing camera and the trademark BoomSound front-facing stereo speakers. And of course, you also get multi-mode LTE along with 802.11ac WiFi. All of these goodies are tucked into a 7.49mm-thick body. Alas, that's all we've got so far; no price nor date just yet, so stay tuned for more. Update: Serial leakster @upleaks has just shared some seemingly legit renders of the lesser E9. Here's one of them. Note the smaller main camera.